I have been in a bit of a tropical mood recently. I blame it on two things: the increasingly warm weather and the amazing summery prints doing the round on Pinterest. I found this print recently and knew that I would have to recreate it on my nails. What's cuter than little palm trees on a pink base? I used Barry M's Strawberry Ice Cream for the base colour. Surprisingly this is my most used nail polish; it's nearly all gone! 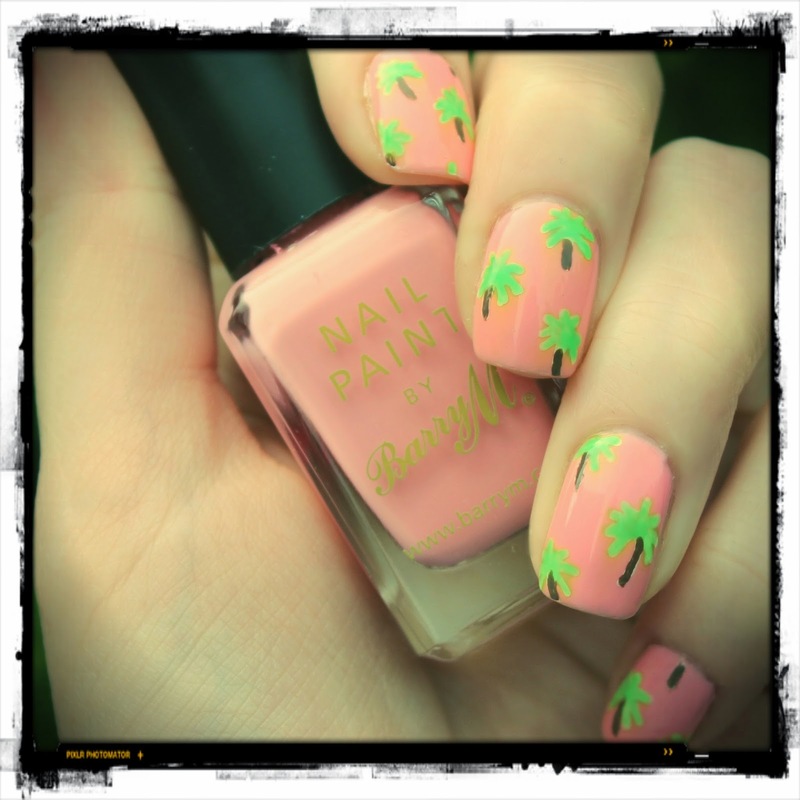 To create the palm trees I drew the shape with my white nail pen and then used a thin brush to colour them in. I used Barry M's Mushroom for the trunk and their special edition green from last year for the leaves. really really cute nail art! I love palm tree prints!